Are you a fresh graduate looking for the perfect job? Career opportunities are out there waiting for you. Even if you’re a newbie in the labor force, you may already have in your mind what career you wish to venture into. A job target checklist would be a boon for you in your job hunt. Also having that specific job in mind is a key factor. For starters, a perfect cover letter for your job portfolio is what you need. 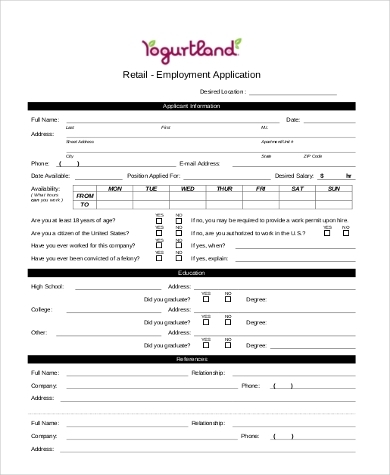 Check out our Application Forms that will help you create a simplified and well-outlined application form and hopefully nab you that first job. 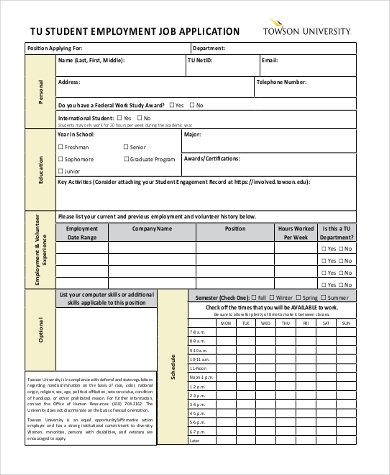 Our forms come in MS Doc and PDF formats. Do you wish your employment process would run better and smoother? Check out our Generic Job Application Forms for a faster and smoother hiring process, thereby increasing your recruitment efficiency. 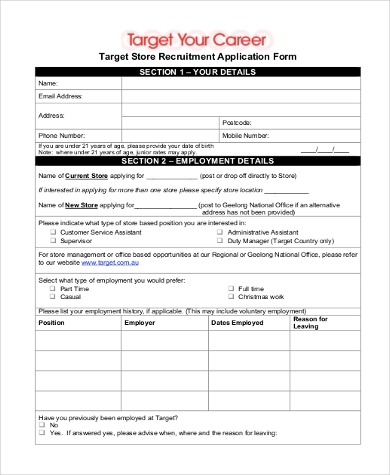 What is the purpose of Generic Job Application forms? 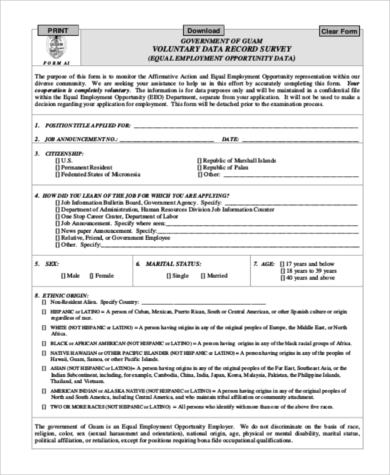 These forms seek to provide detailed information regarding your professional background, qualities, and skills needed in the job requirements. 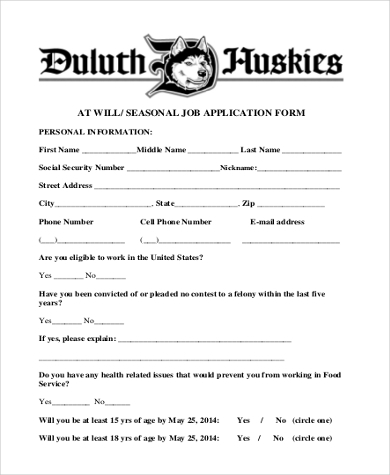 With a large pool of applicants out there, a formal cover letter will definitely get you a job offer. Employers want to hire a competitive and dynamic employee in order to increase the company’s progress. With these application forms, applicants will be able to determine what job suits them best based on their qualities and credentials. 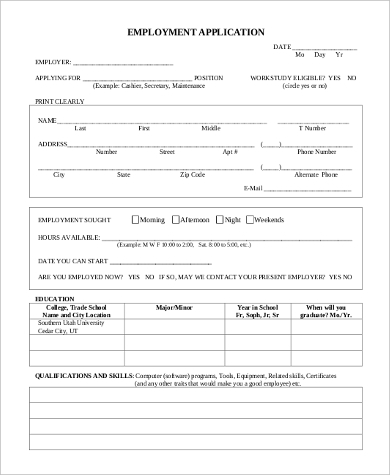 These application forms will save you time and will hasten the employment process on the employer’s end. 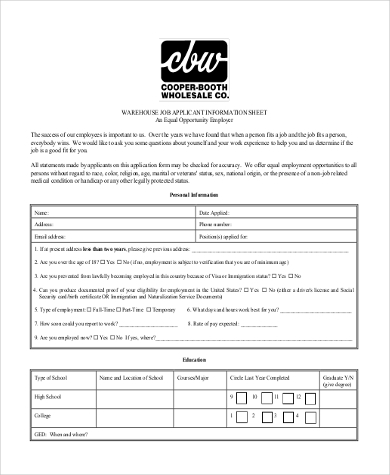 You may also check out Printable Job Application Forms for more template ideas. You need the right tools in your job application. A formal and professionally furnished letter will be one of your most important tools as you go job hunting. If the job you are applying for has been advertised in the newspaper, you might as well include this info in your letter. A smart, simplified cover letter can be your key into the company. Employers will hire only the best among the pool of applicants, and you wouldn’t want to miss that opportunity. A weak cover letter can let you miss out on an opportunity. 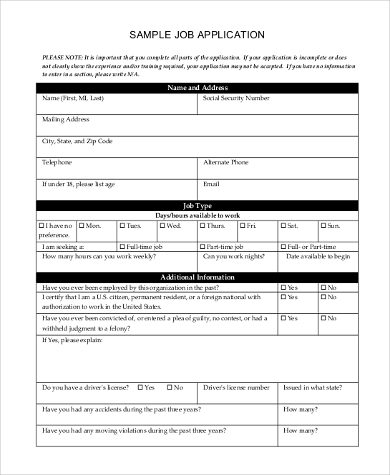 Having these application form templates as your guide will help you avoid simple mistakes. 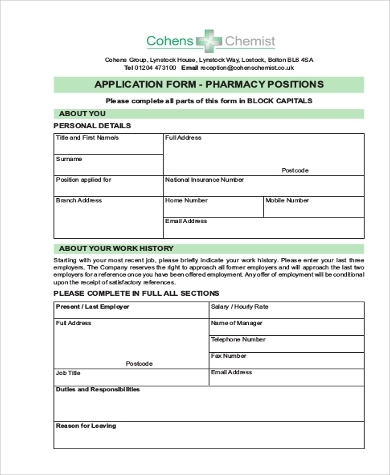 If you are in the healthcare profession, you may check our Pharmacy Job Application Forms that feature simplified and easily understandable cover letter templates, saving you from any mistakes that may ruin your chances of getting that job offer.